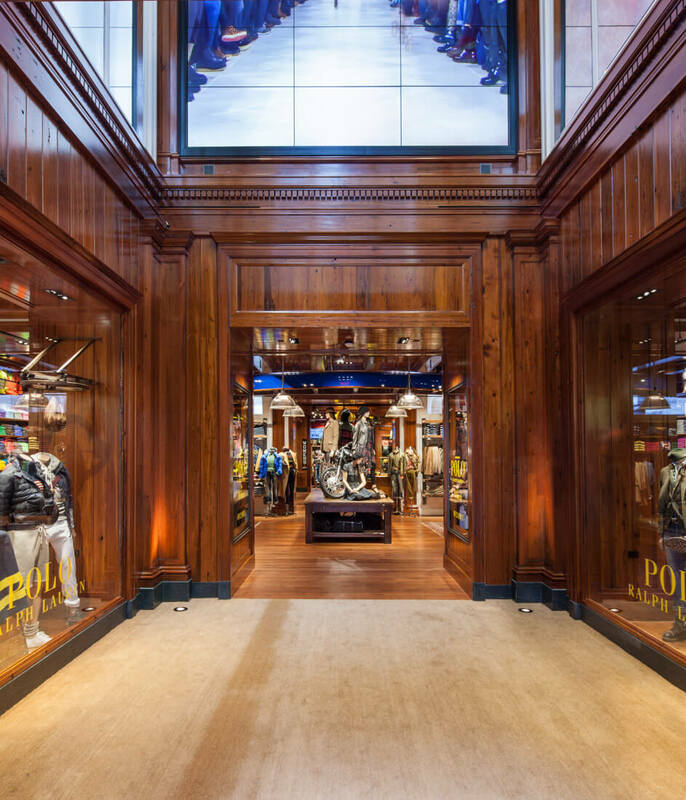 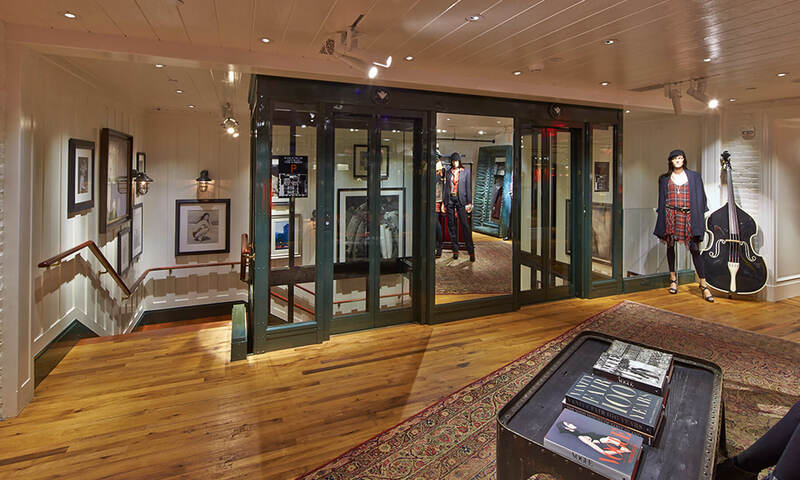 We were the executive architects for the Polo Ralph Lauren Fifth Avenue flagship store in the 1927 limestone “Coca-Cola Co” building. 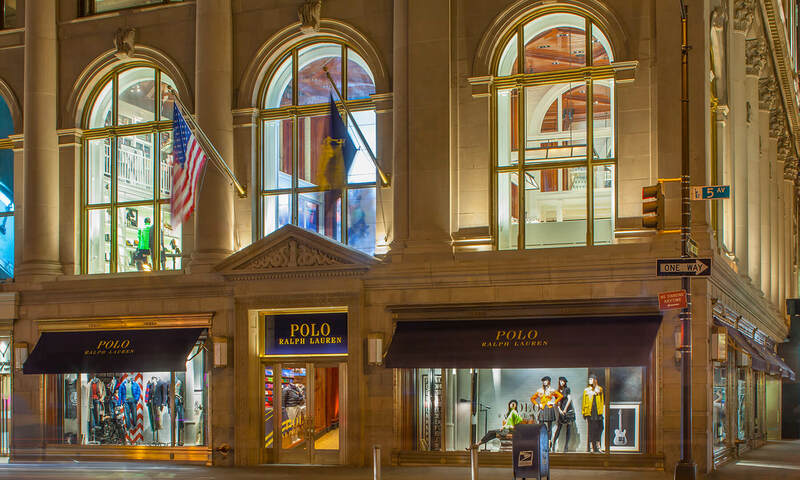 This three-story renovation housed the Polo clothing collection as well as the popular Ralph’s Coffee on the second floor. 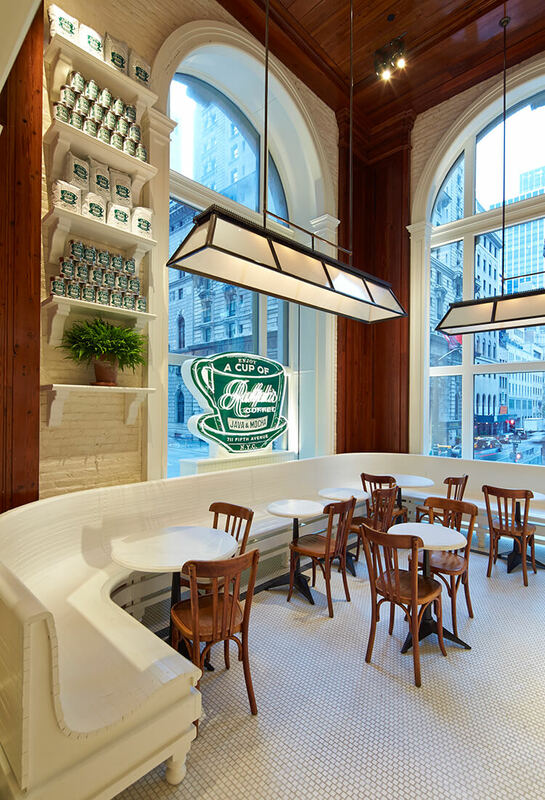 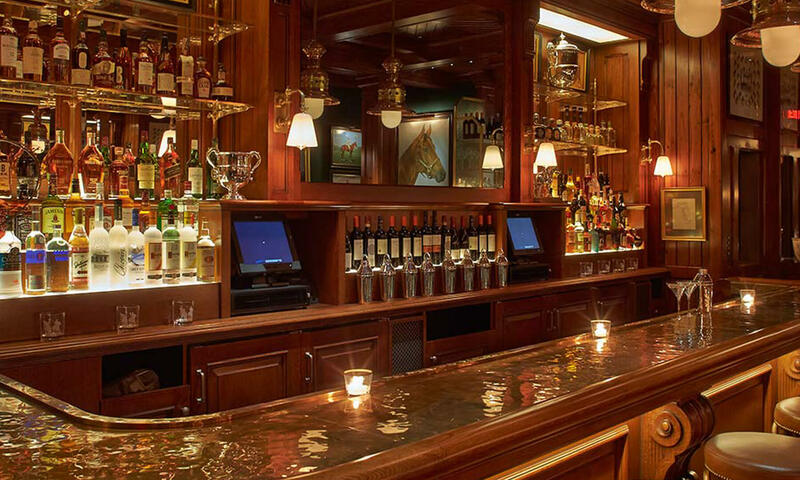 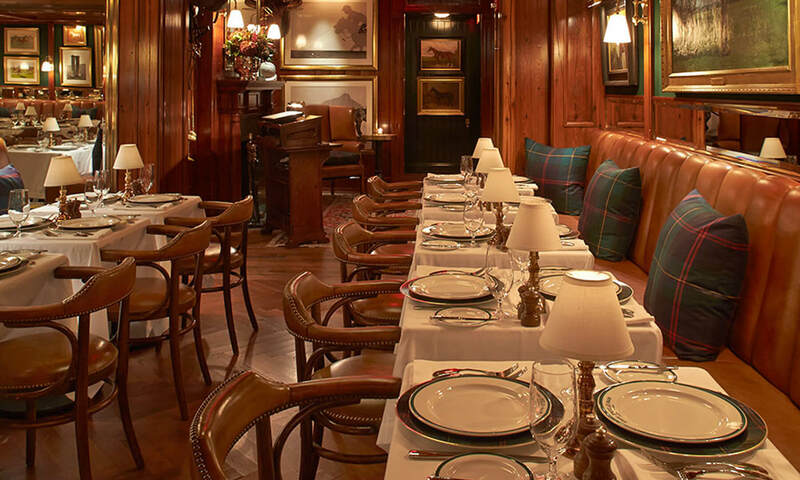 The renovation included The Polo Bar on 55th Street, Ralph Lauren’s first restaurant in New York City. 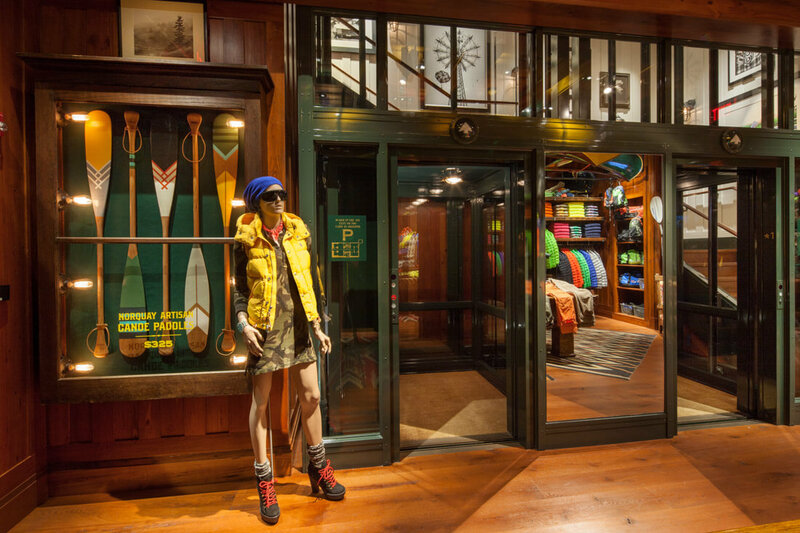 The new bronze entrance doors and storefront windows incorporated the original bronze found on the existing ground floor façade. 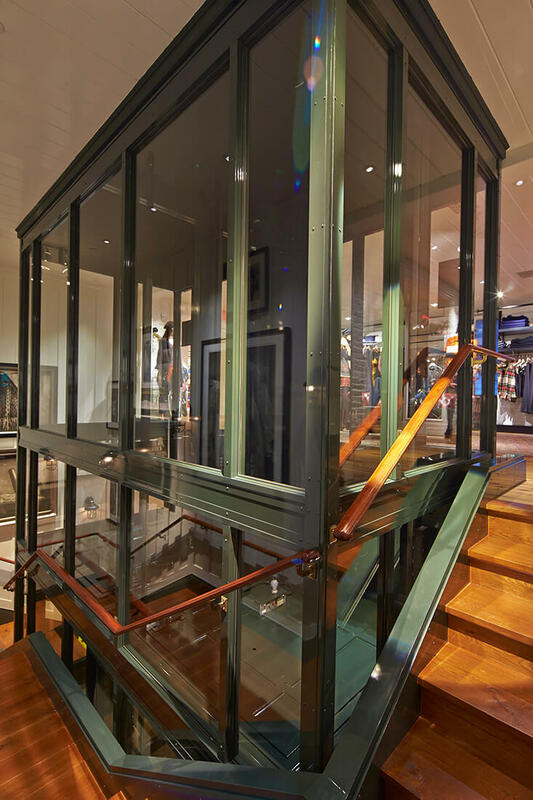 The interiors featured meticulously-detailed stained and painted pine floors, walls and ceilings, rustic river-stone fireplaces, and machine-age inspired steel and glass elevators.